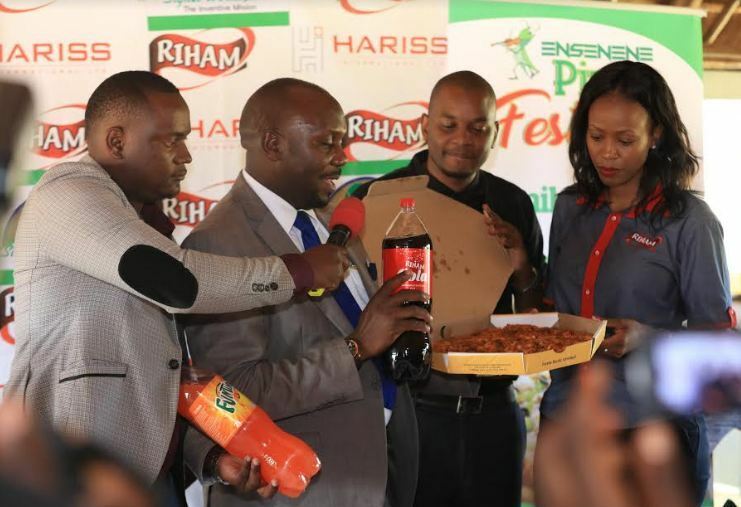 KAMPALA- The Ugandan local soft drink, Riham products of Harris International in partnership with Signet World have organised the 2018 Pizza Festival dubbed ‘Nsenene Pizza Festival’. The festival is slated Sunday, December 9 at Kyadondo Rugby grounds in Kampala. Racheal Luwedde, the public relations officer of Harris International while at a presser revealed that the festival is entirely a family day out event where over 10 different recipes, Nsenene being the latest will be unveiled. “We are happy to support the Nsenene Pizza Festival. The Nsenene delicacy is one that brings a special feeling to those that love it. To many, it brings up great memories. But Sunday is not just about Nsenene as there will be other Pizza recipes on display. Importantly, the Pizza Festival will be a family day out. 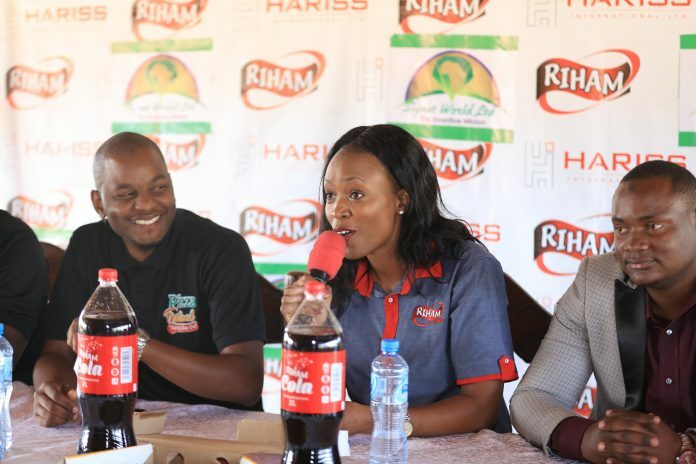 And where there is family, there is Riham thanks to our wide range of food and beverages products,” said Luwedde. Hon Latif Ssebagala, the Kawempe North Member of Parliament at the same presser said that they are going to do their best to promote Nsenene around the world. “The rolex is now a popular food because we gave it identity and promoted it globally. The same way we focused on rolex is the same way we should focus on other unique local delicacies such as Nsenene. I am very happy knowing that both companies that are spearheading this Nsenene Pizza festival come from the area I represent,” Hon Ssebagala said. “I can assure you that we shall do everything possible to promote Uganda. Nsenene has been here for years. Masaka district was initially the Nsenene main hub but lately Nsenene is all over the country. We now need to move to the next stage of preservation for long durations and exportation. This Nsenene Pizza festival is a value addition effort and we should do more in that direction,” he added. To be part of this event, one will have to pay Shs10,000 while children below 10 years will part with Shs5,000.